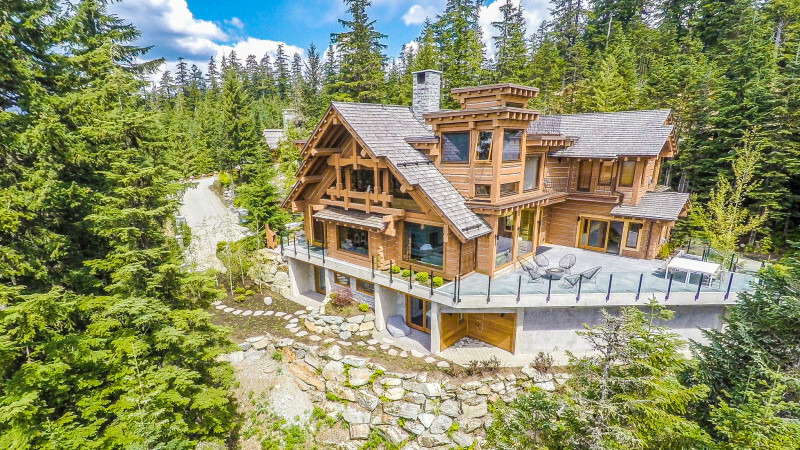 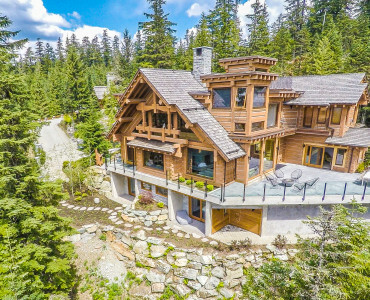 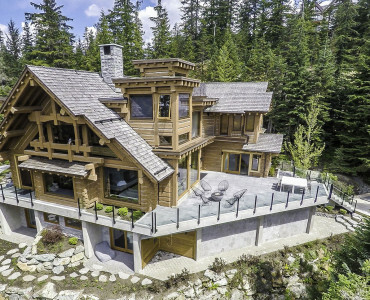 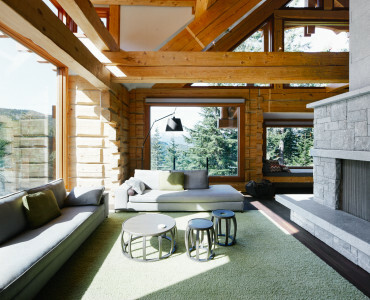 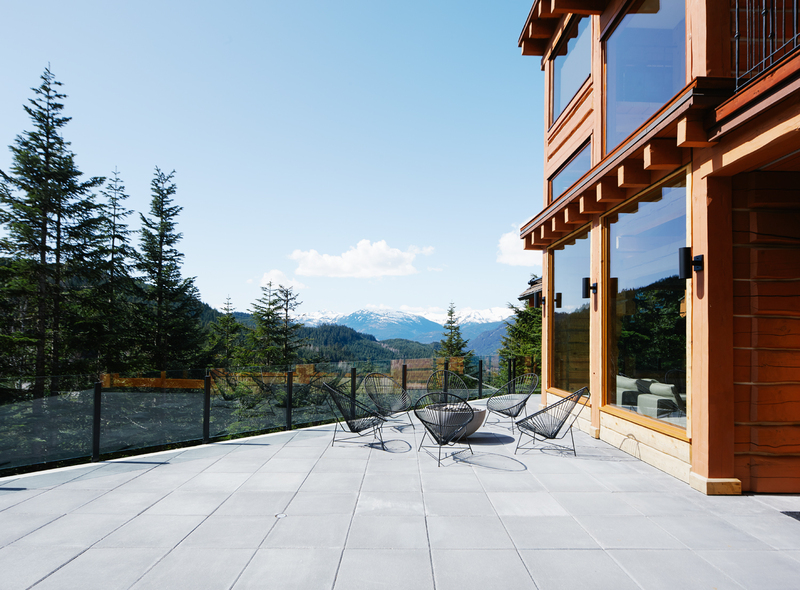 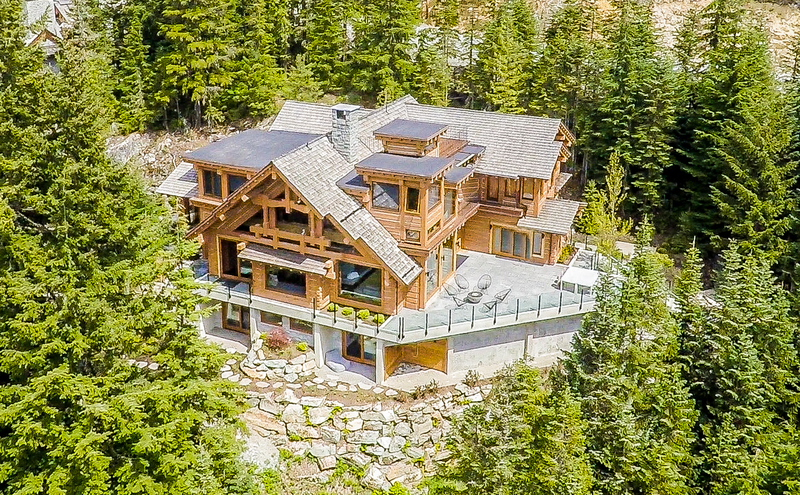 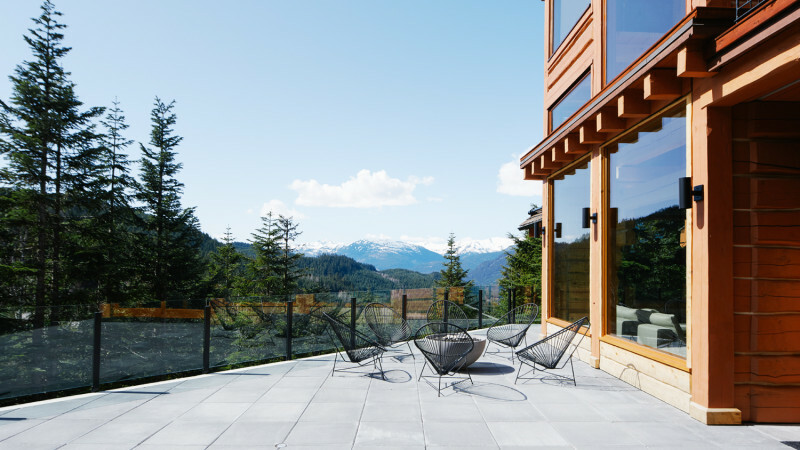 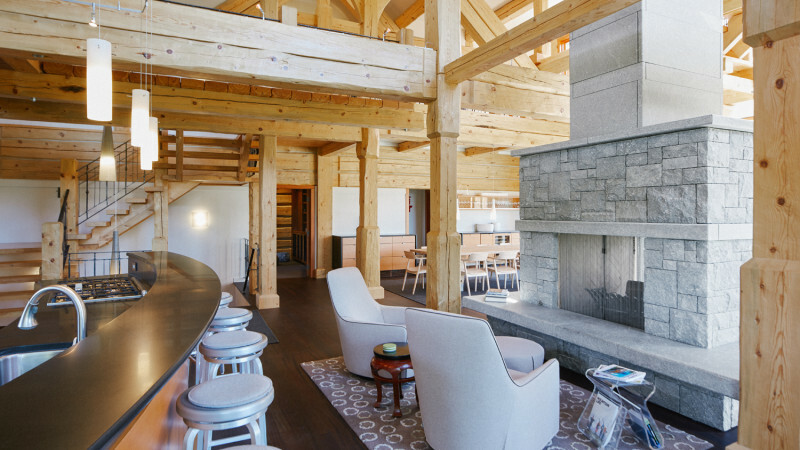 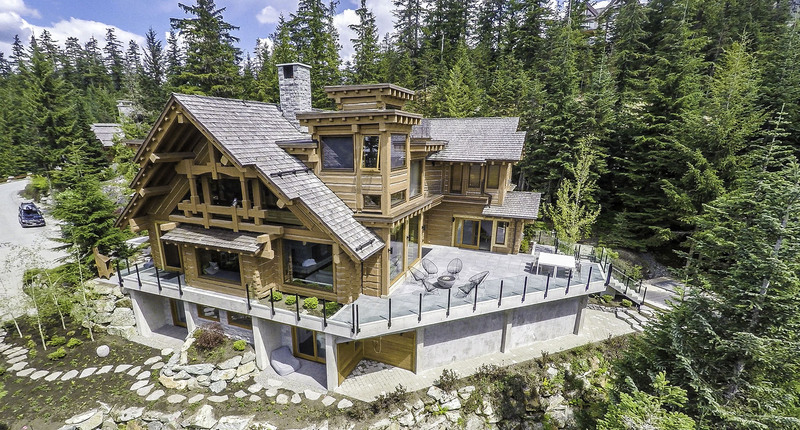 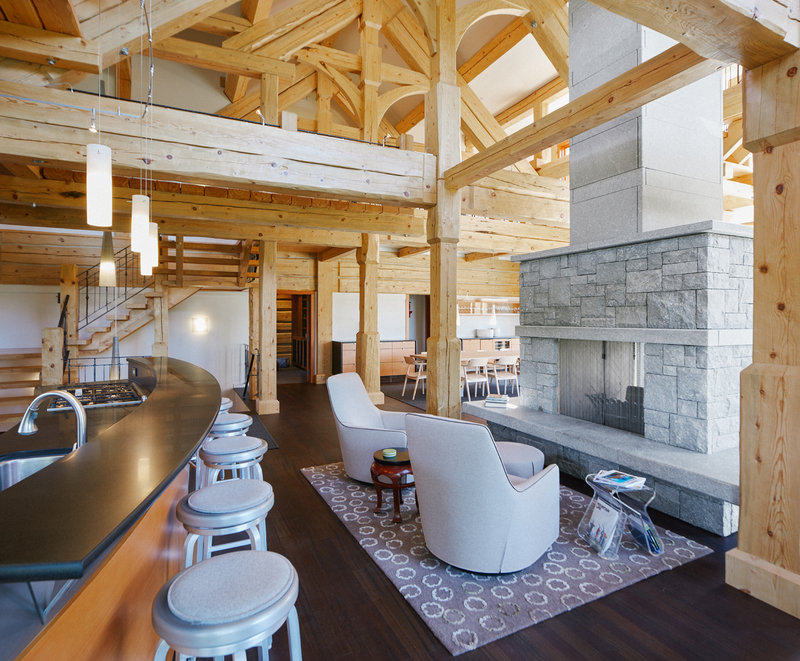 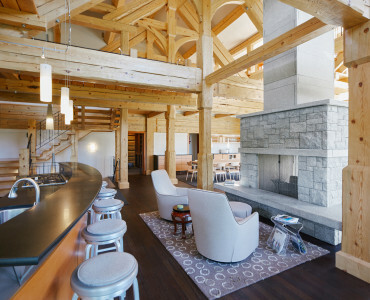 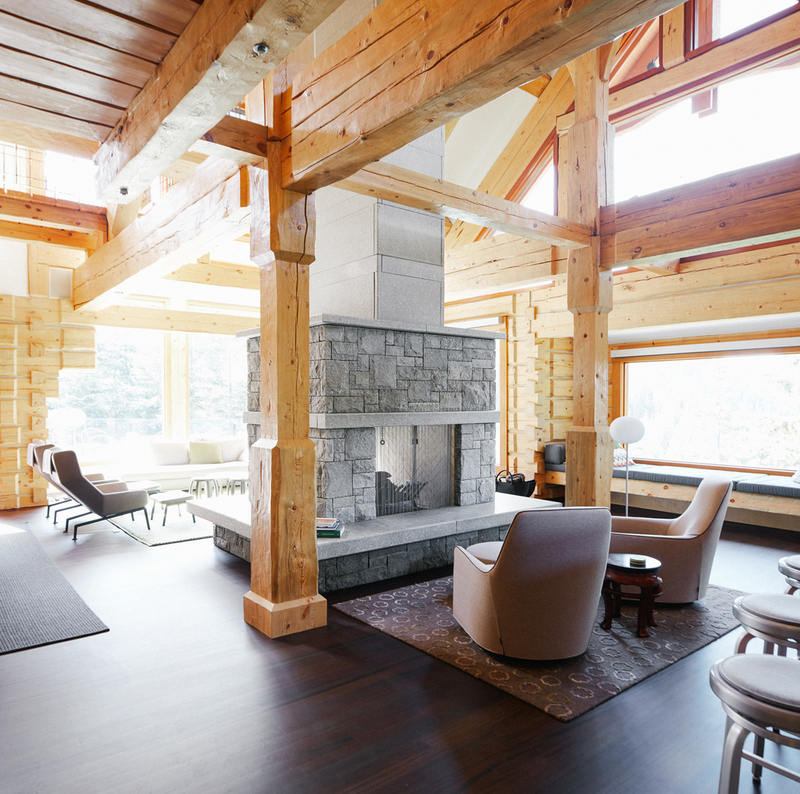 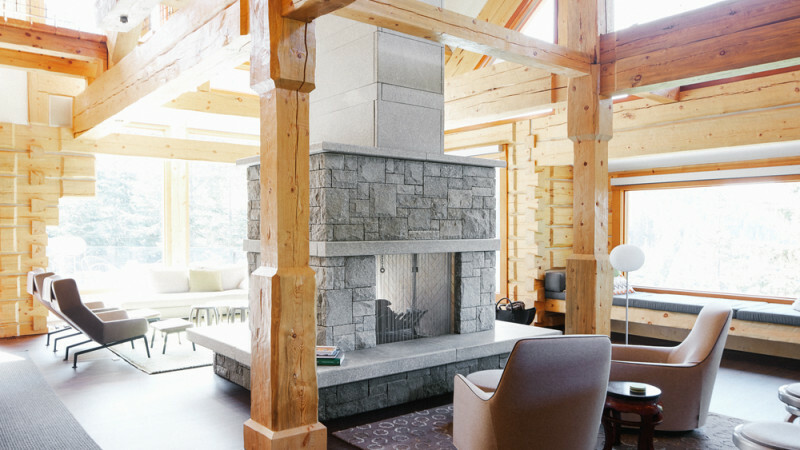 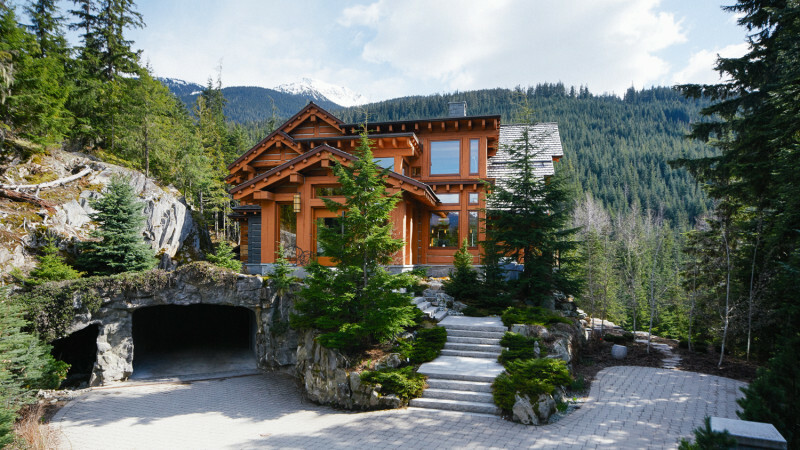 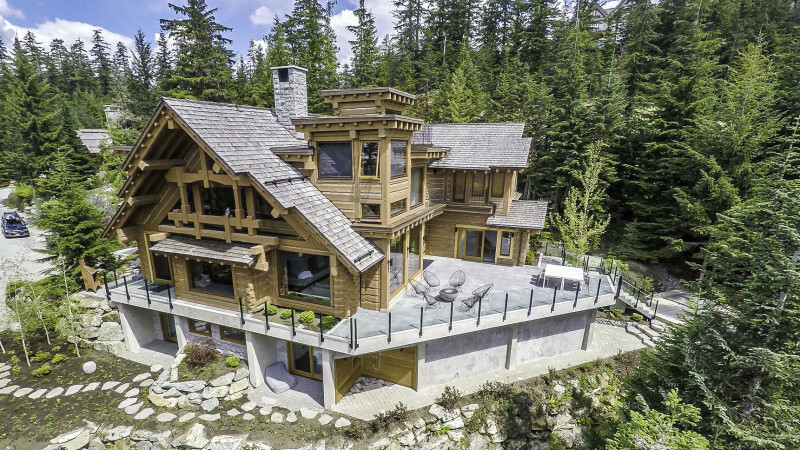 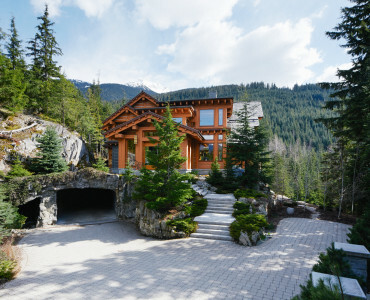 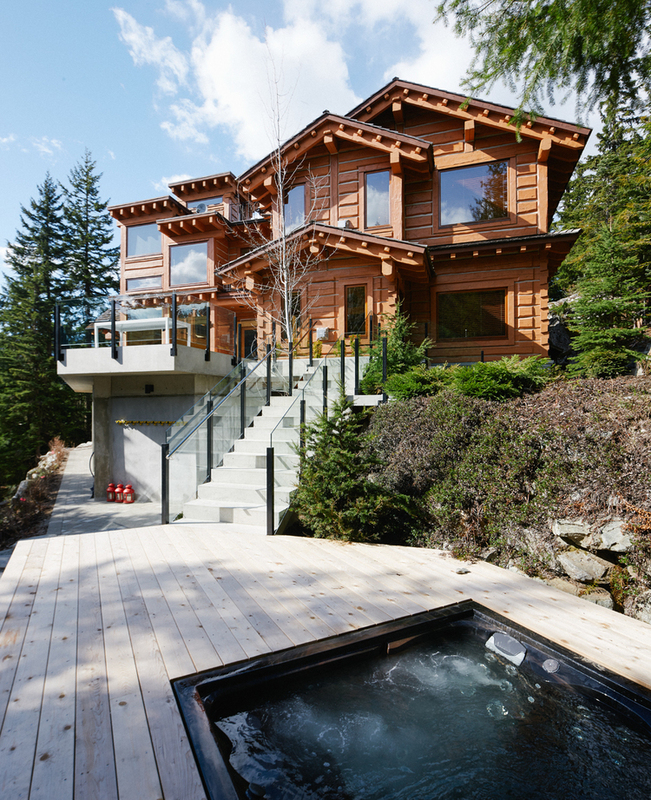 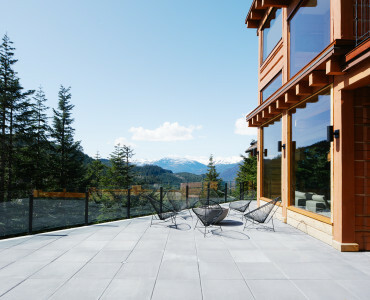 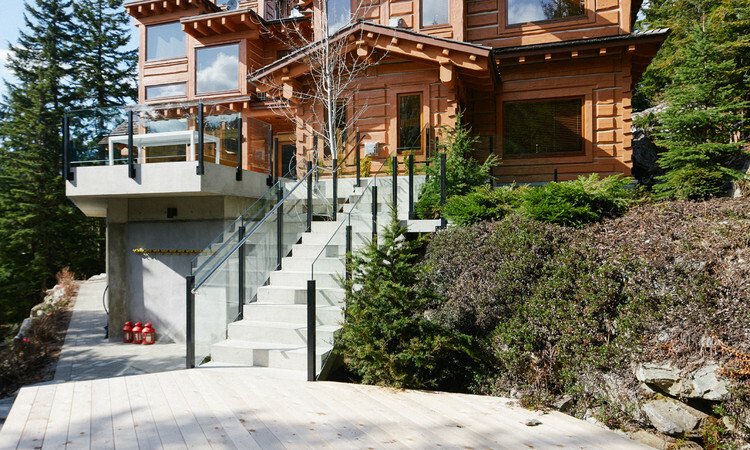 Big Timber has all the adjectives that you are looking for: Whistler’s largest, newest ski-in/ski-out chalet with the most beds and best views. 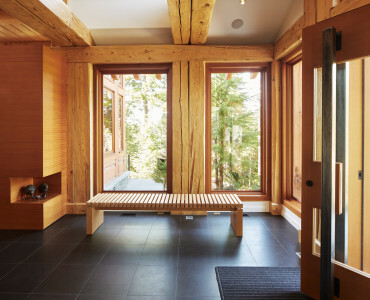 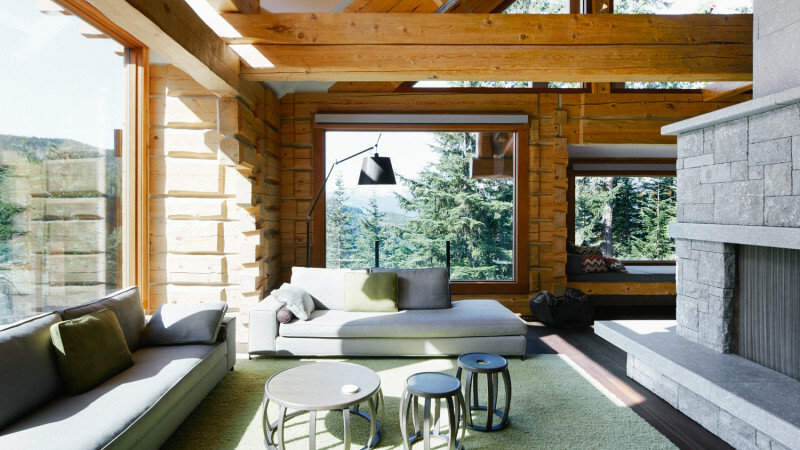 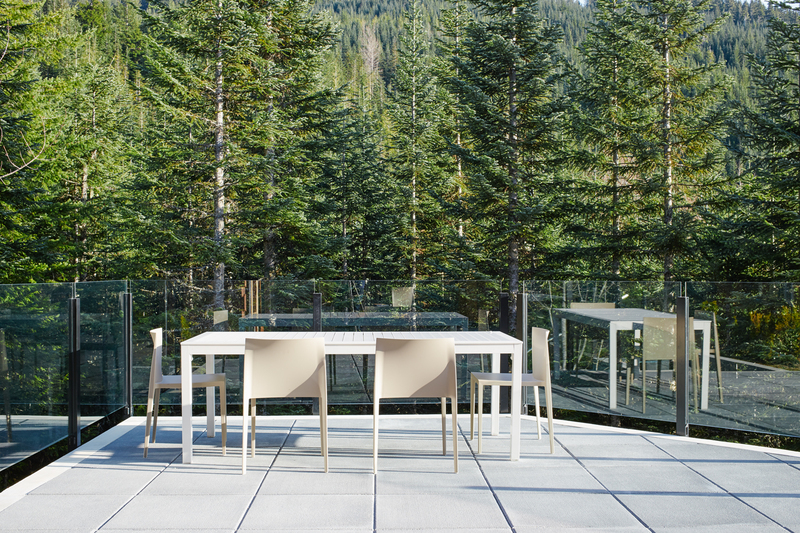 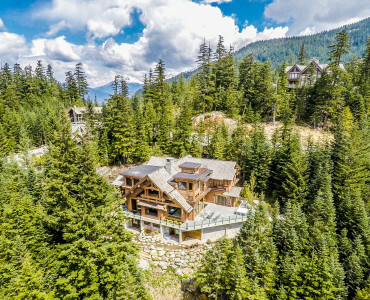 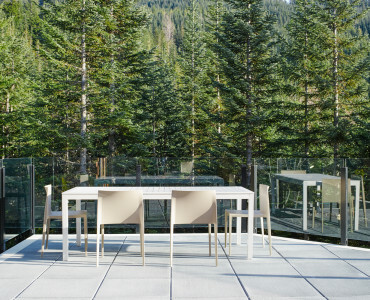 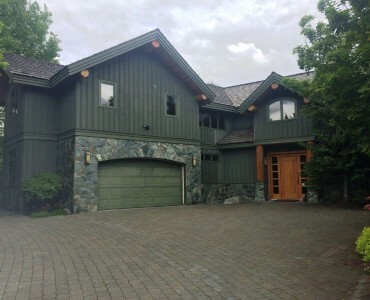 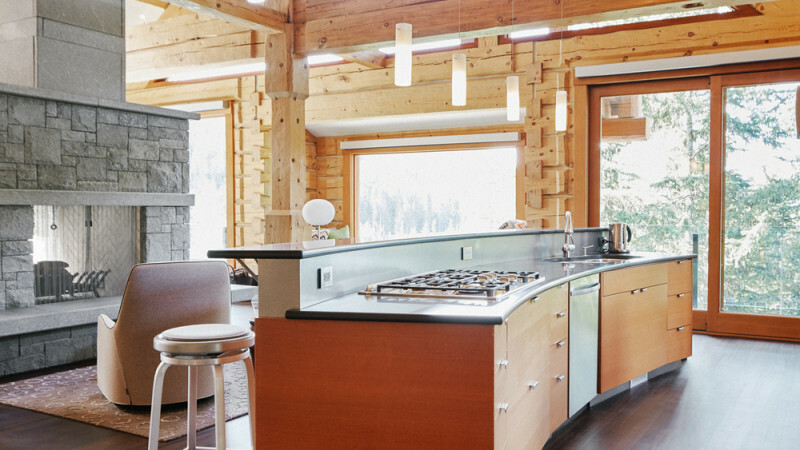 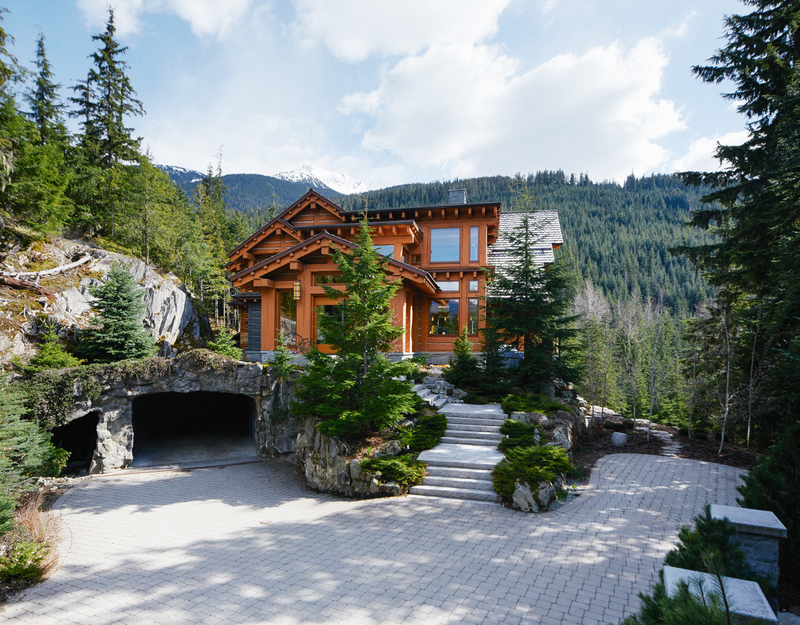 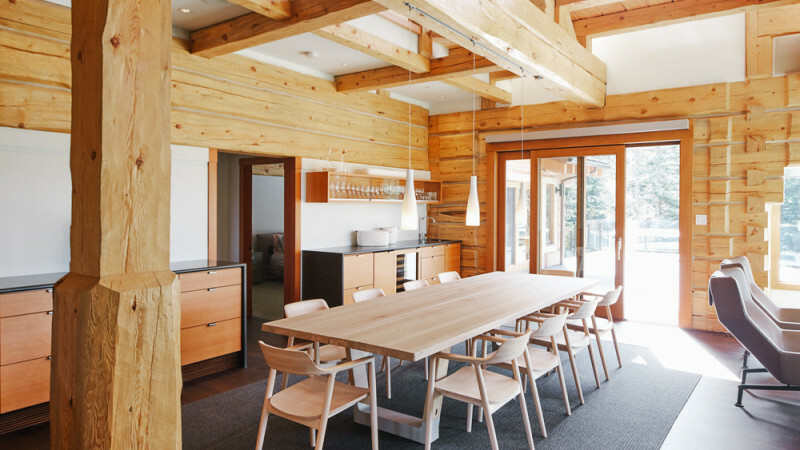 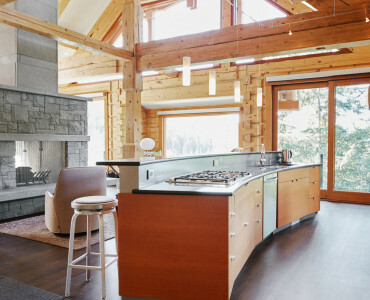 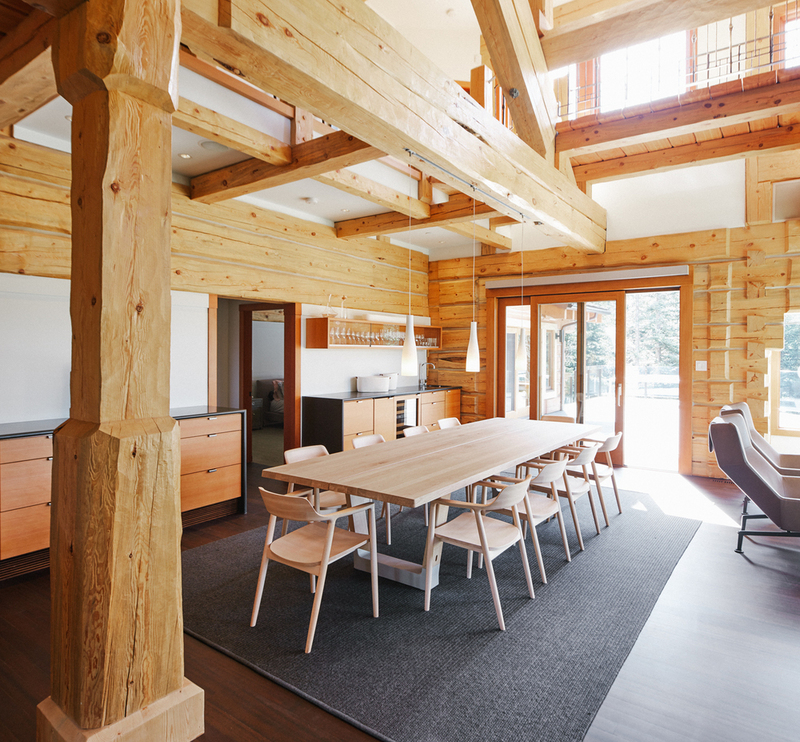 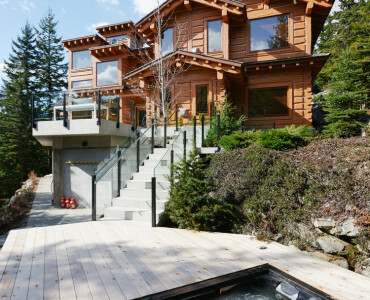 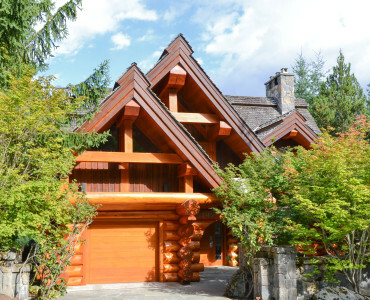 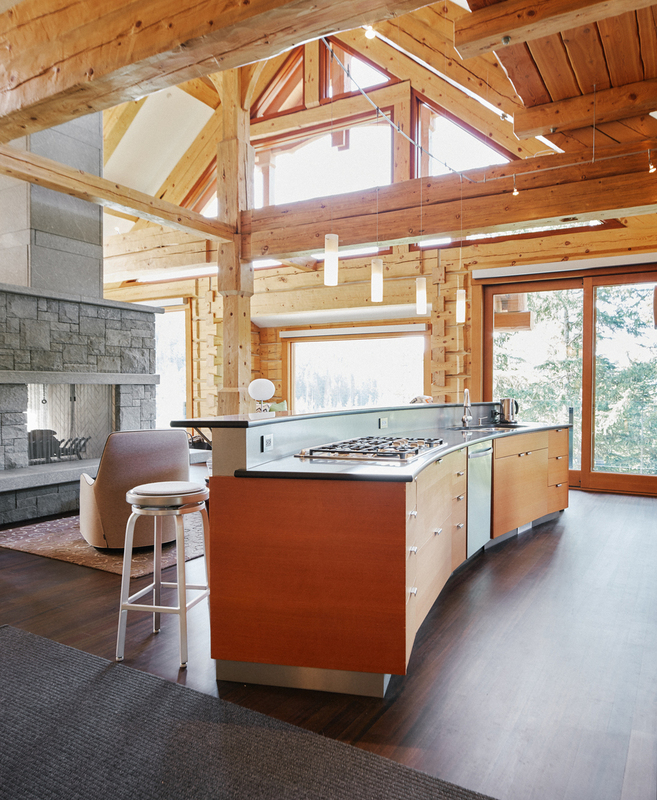 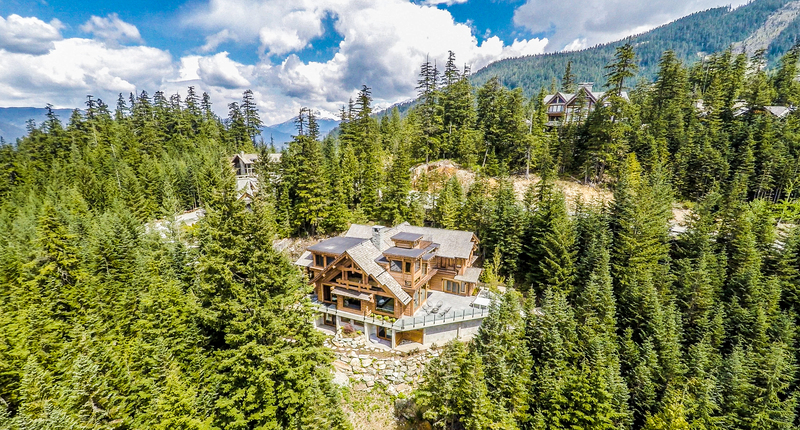 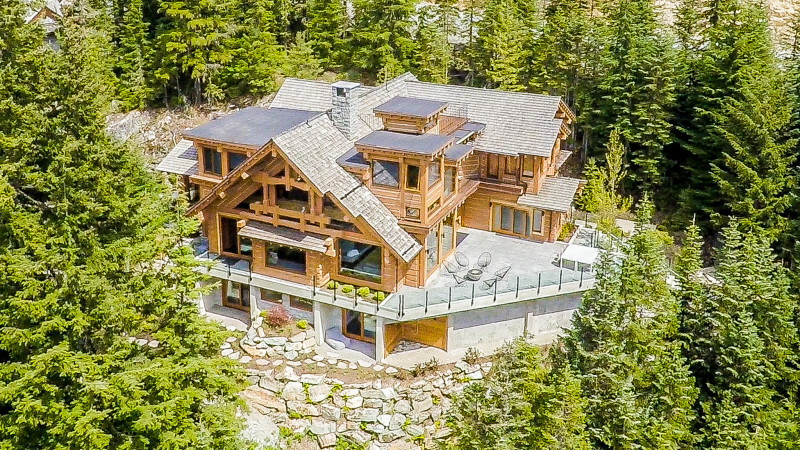 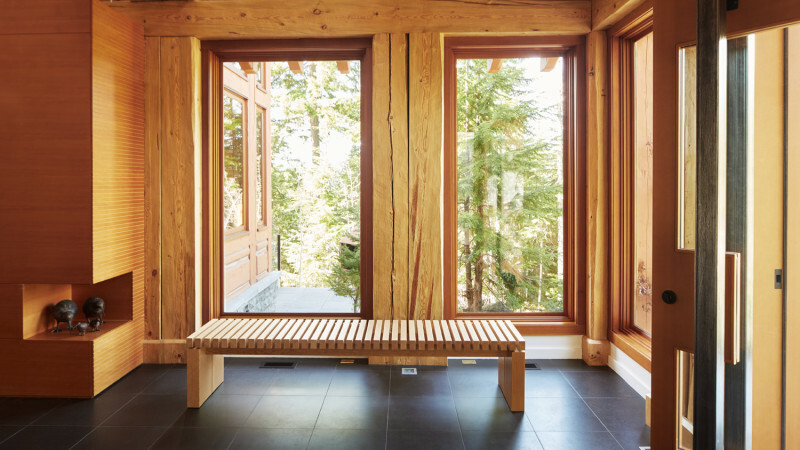 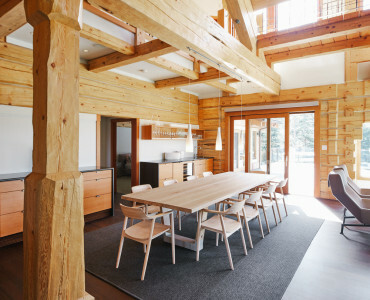 Located at the end of a private lane, right on the slopes, Big Timber offers privacy and a feeling of being at one with the surrounding forest. 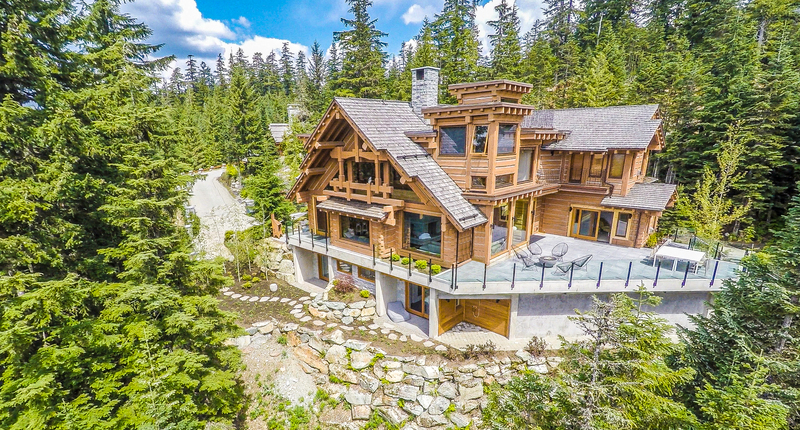 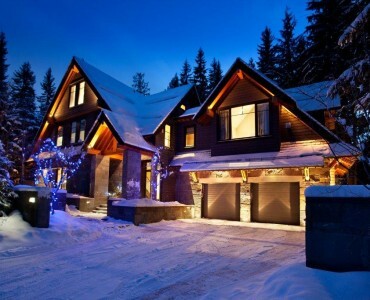 6 of the 7 bedrooms have ensuite bathrooms and the open concept living room, kitchen and dining room is the perfect place to sip a cup of hot chocolate around the fire in stocking feet after a day on the slopes while gazing out over the snowcapped mountains and forest outside the panoramic windows. 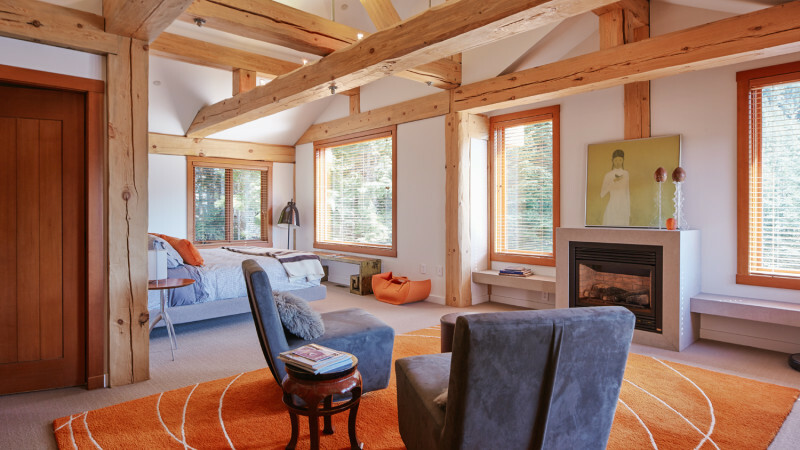 The kids have their own kids zone with games room, media room and bunk rooms. Along with Big Timber’s 7500sq ft, there is plenty of outdoor living space with firepits, private outdoor hot tubs and amazing views. 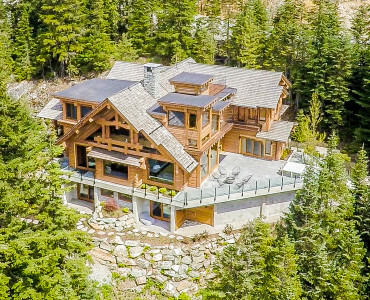 Located in Kadenwood, there is direct ski-out access to the base of Creekside and access to the private Kadenwood gondola. 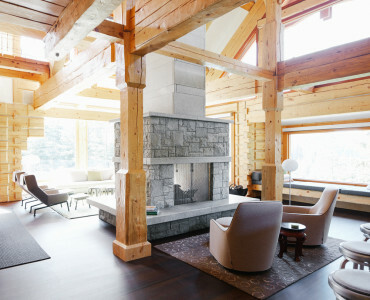 Lower Floor- kids zone- games room plus 3 bedrooms. 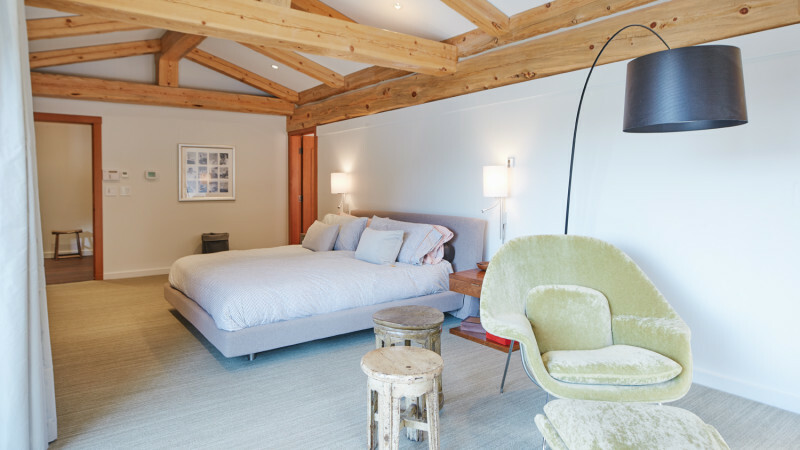 Room 5: 2 sets of queen bunks + double bed (5 beds). 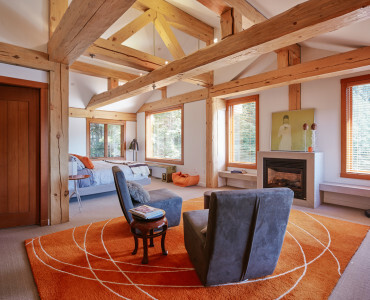 Room 6: 2 sets of queen bunks (4 beds)- 7th room- small ‘nanny’s room’. 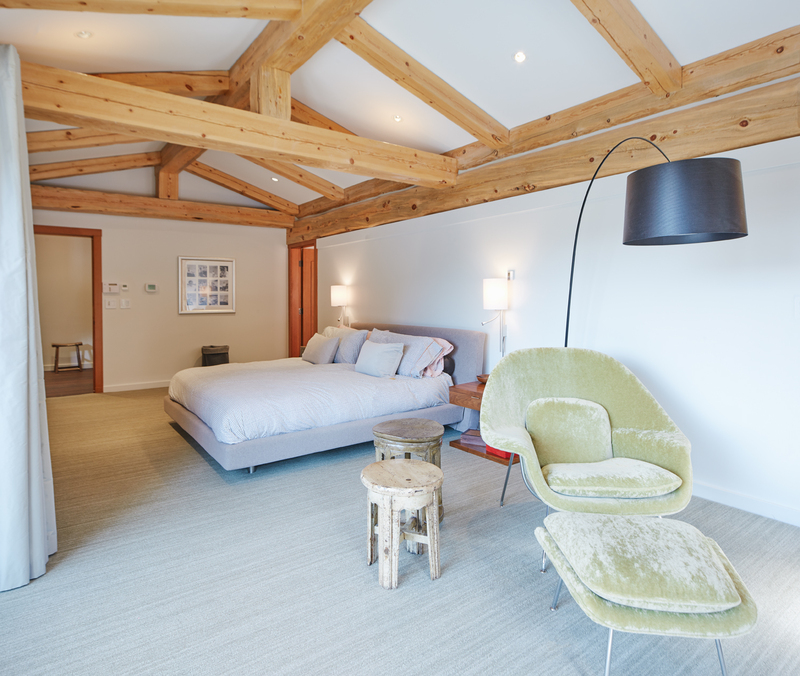 All rooms have ensuite bathrooms except for the 7th nanny room.